Buckingham® Slate is a superior flooring slate due to its resistance to acids, low absorption rate, genuine unfading qualities and extra-long product lifespan. Buckingham® Slate has been continuously quarried in the Arvonia, Virginia area of Central Virginia since 1867. 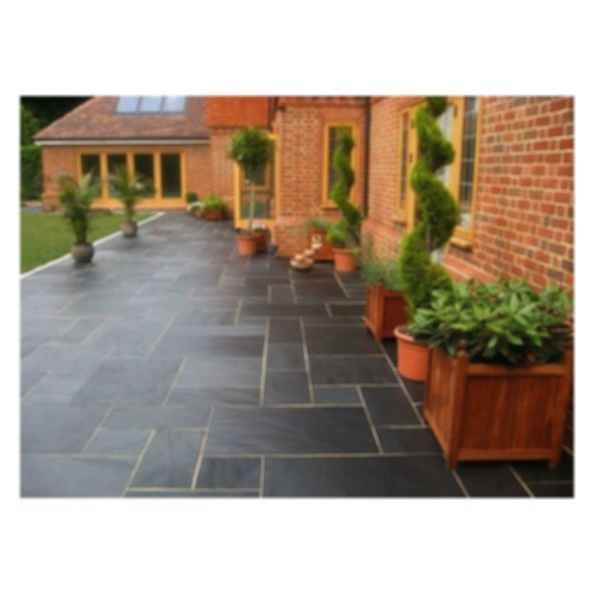 Buckingham® Slate has for over 150 years been a Blue Black slate, sometimes called Oxford Grey. It is a unique color for slate and is enhanced by a mica sheen, not found in any other slate. The unique unfading color and mica sheen gives Buckingham a great look that cannot be found anywhere other than in our product.